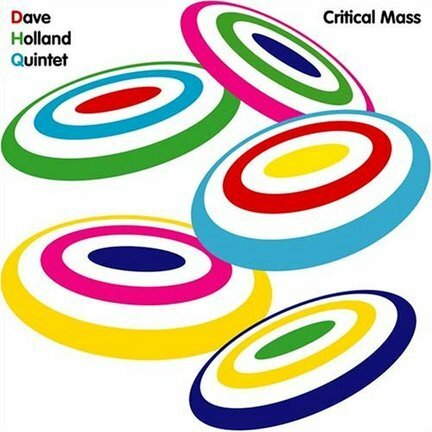 It’s been five years since Dave Holland’s quintet released an album of new material. The bassist hasn’t exactly been relaxing in the meantime; he put out two albums of big-band music and toured extensively, and released a stellar double-live CD by his quintet. And all the while, the least grateful among us have been hankering for some new music from Holland’s quintet. Well, here it is, and it holds its own against Prime Directive, the group’s most impressive release. Some of Critical Mass retreads familiar ground: Holland’s “The Eyes Have It” and “Lucky Seven” would fit comfortably on any of this group’s previous releases. But on the whole, the quintet is a bit funkier than usual. That could be credited partially to the new drummer, Nate Smith, who admirably replaces the explosive Billy Kilson. But it’s more likely a byproduct of the DHQ’s coalescence over the years. The group-which includes saxophonist Chris Potter, trombonist Robin Eubanks and Steve Nelson on vibraphone and marimba-approaches composition and development with a sort of groupthink, to the point where each tune, no matter who has written it, seems to be a piece of a larger whole. As it is wont to do, the quintet trades in complex structure and odd time signatures while making it all seem accessible and effortless. “Vicissitudes,” an intoxicating tune full of surprises, shifts meter so often it’s difficult to keep track of (12/8 and 14/8, by my count). The groupthink mentality manifests itself most obviously on the New Orleans tribute “Easy Did It,” for which Holland and Smith create a slithering, swelling rhythm that culminates in a five-way roundtable of near-chaos. Critical Mass will be on everyone’s list of 2006’s best.